Pierre-Luc Leyvraz took over 3.3 hectares of vines from his father, whose family’s holdings were split between agricultural crops and vines. 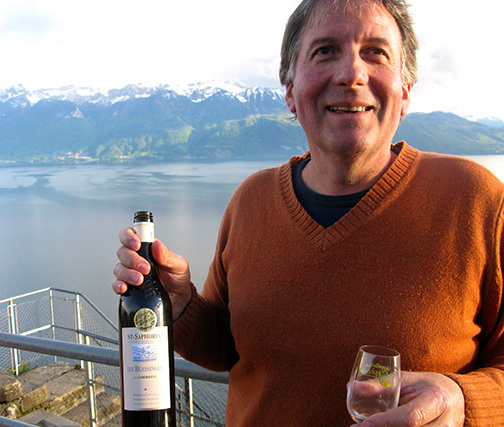 The estate is partitioned into ten steep parcels a few hundred meters apart along the Lavaux terraces. 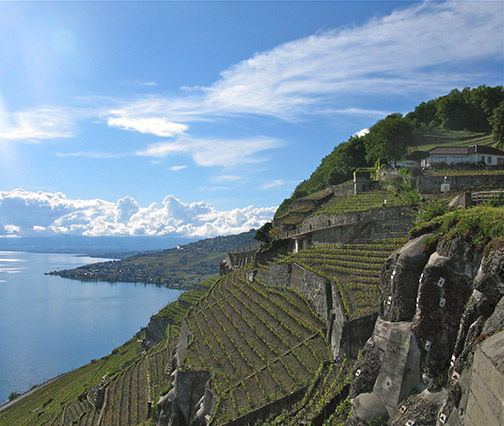 The soil formation in the Lavaux region dates back some 25 million years, when the geologic fault that became Lake Geneva and the Rhône Valley was created by the folding of the earth’s crust during the uprising of the Alps. Then the cycle of successive glaciers cut into this region's slopes, changing the appearance of the landscape and depositing soils brought from the Alps. 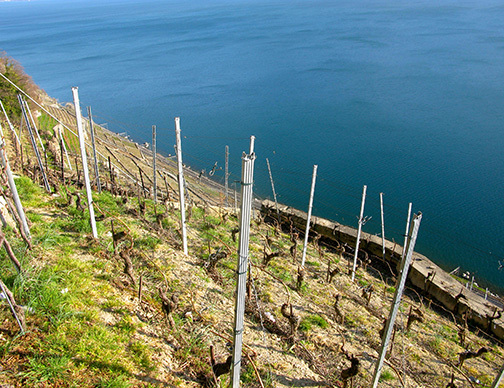 The soil of the vineyards has been in place since the last glacier retreated more than 15,000 years ago. The stone walls supporting the terraced vineyards here were built starting in the 10th century by monks using the rocks deposited by the glaciers. Today, the soil composition of the parcels that Leyvraz took over varies somewhat, but high limestone content is a constant. He has since expanded the domaine’s holdings to 3.5 hectares, and also begun buying grapes from trusted growers. It has been said of Pierre-Luc that he “prunes his vines as if they were valuable old bonsais”, and this perfectly sums up his artistic approach to viticulture. He meticulously farms (using lutte raisonée) the mosaic of steep plots on the estate, taking advantage of the exceptional terroir to hand craft wines worthy of their Grand Cru status. The harvest is 100% manual (how could it be otherwise with such steep vineyards?). Wines are vinified in stainless steel tanks and aged in cuve, then bottled unfined and with a light filtration. With an annual production of a scant 30,000 bottles of St. Saphorin Grand Cru and Dézaley Grand Cru, this domaine is truly one of the references of Swiss wine production. 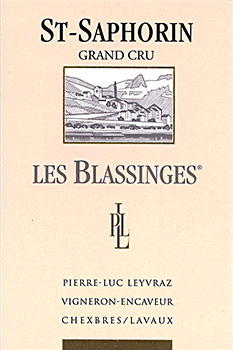 The name of Pierre-Luc’s 100% Chasselas cuvée, Les Blassinges, comes from the name of the parcel where the estate’s first vines were planted during the 1950s. Today this wine is a subtle blend of several parcels, all located in the heart of the St. Saphorin appellation. The wine from this outstanding terroir is fermented and aged in tank where it passes through malolactic fermentation. Afterwards it evolves on its lees during which time it gains its rich flavor complexity. Tasting notes:This exquisite wine should be served chilled as a refreshing, crisp aperitif, or accompanied by fish, poultry or cheese.